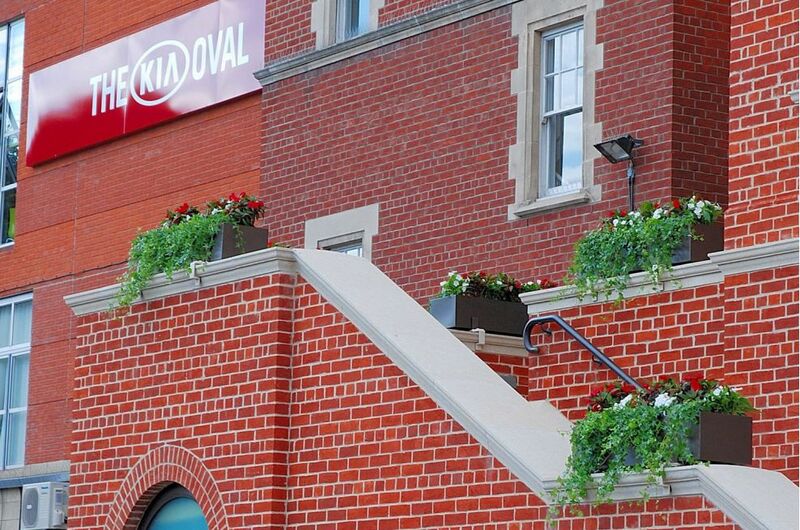 Bespoke steel planters were commissioned from IOTA for The Kia Oval, as part of a major refurbishment of the façade and pavilion. 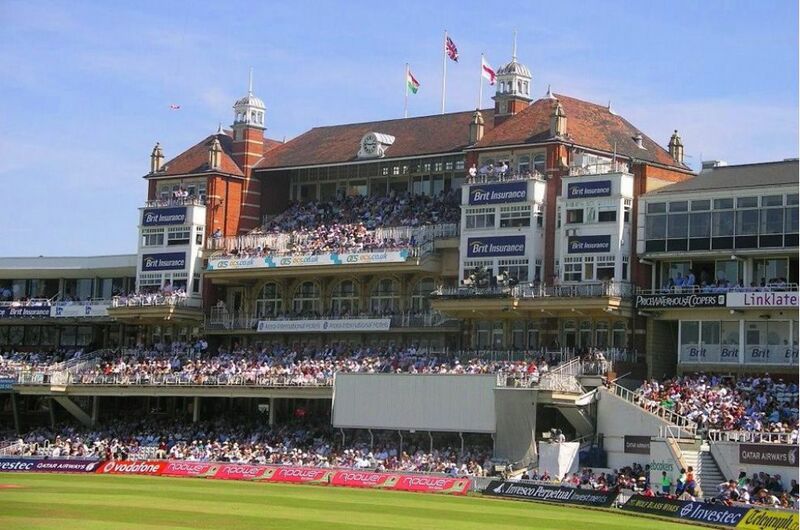 The Oval is one of the oldest and most internationally-renowned cricket grounds in Britain; and it is the birthplace of The Ashes Test Series, being the venue for the first Ashes Test in 1882. 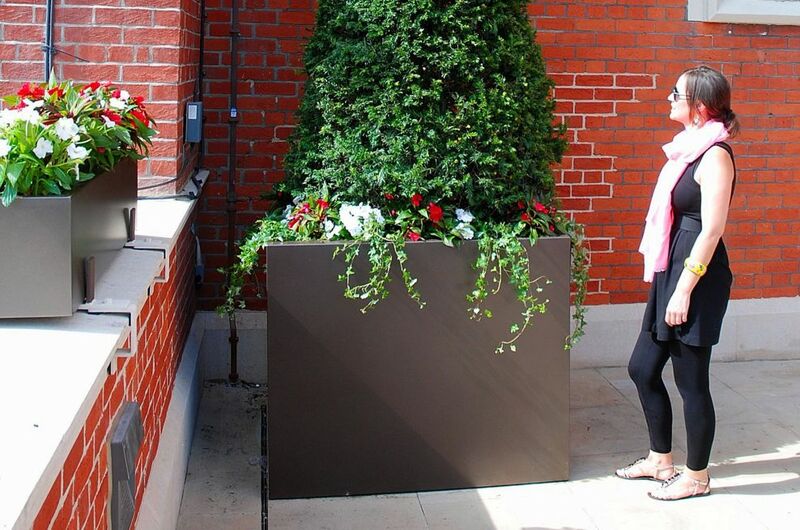 A permanent planting statement was required at either end of the new first-floor Pavilion Terrace, and for this IOTA recommended and sourced two 3700mm tall Taxus baccata [English yew] cone topiary. 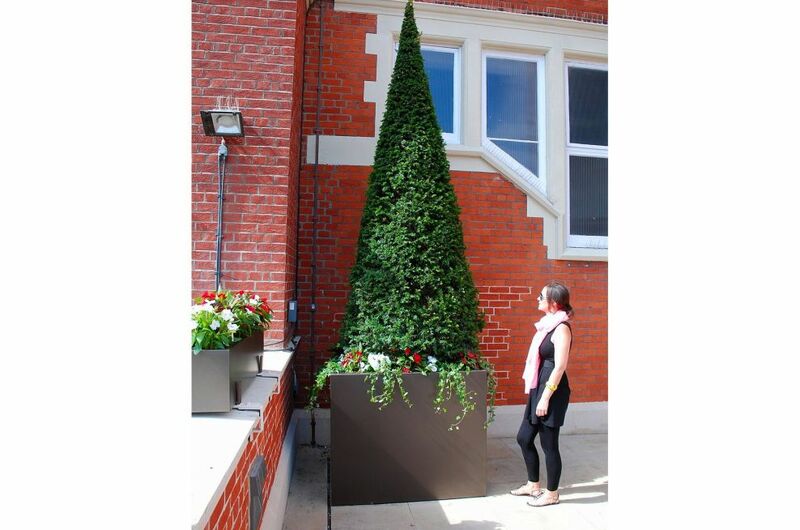 With the trees each weighing in excess of 500kg, and allowing for future growth, robust and high-volume planters were required for these specimens. IOTA constructed 2 nr. 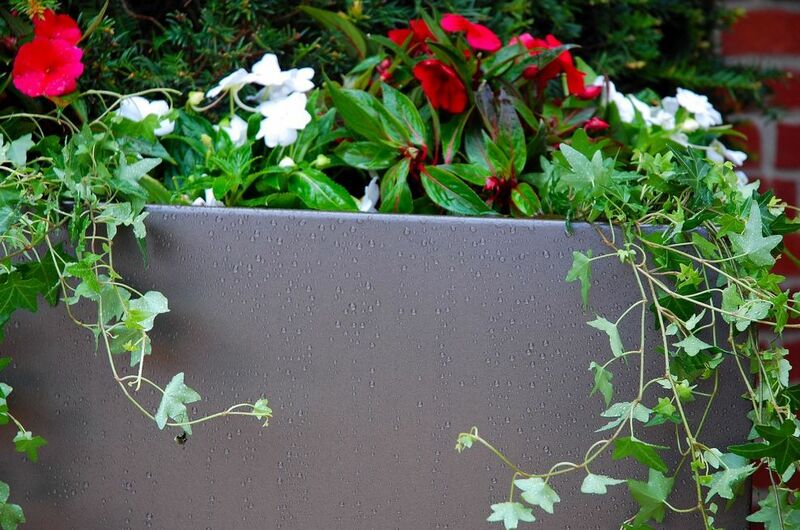 bespoke 304 grade stainless steel planters of L 1200 x W 1200 x H 1000mm, with a 75mm rim. 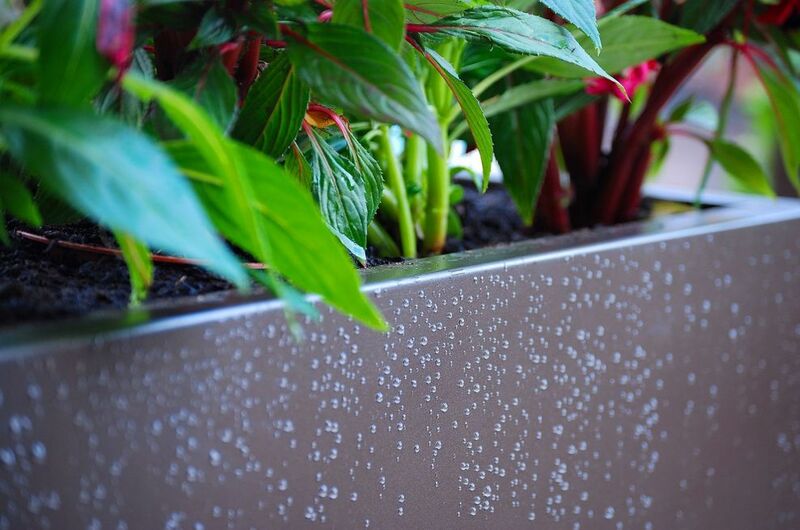 The planters included galvanised steel liners (galvanically isolated from the stainless steel planters), in addition to thermal insulation in the void between liner and planter. 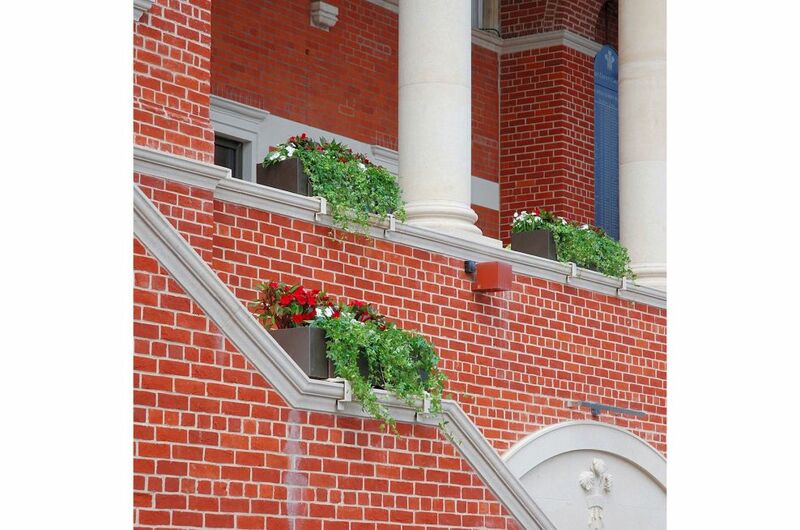 The Oval’s management also required a temporary and removable planting solution for the balcony of the Pavilion Terrace, and for the steps leading up to it. IOTA constructed 13 nr. 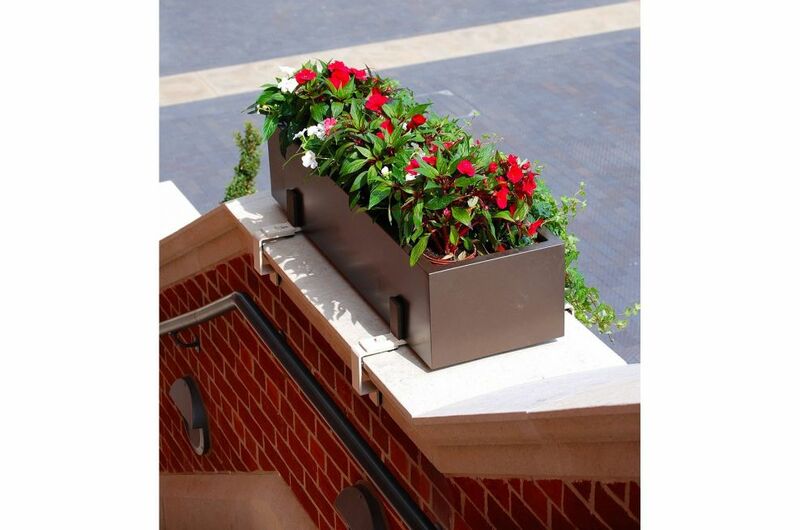 galvanised steel trough planters of W 350 x H 250mm, with lengths varying between 1100mm and 1200mm to accommodate the spaces defined by the imposing Doric columns at the centre of the new façade. 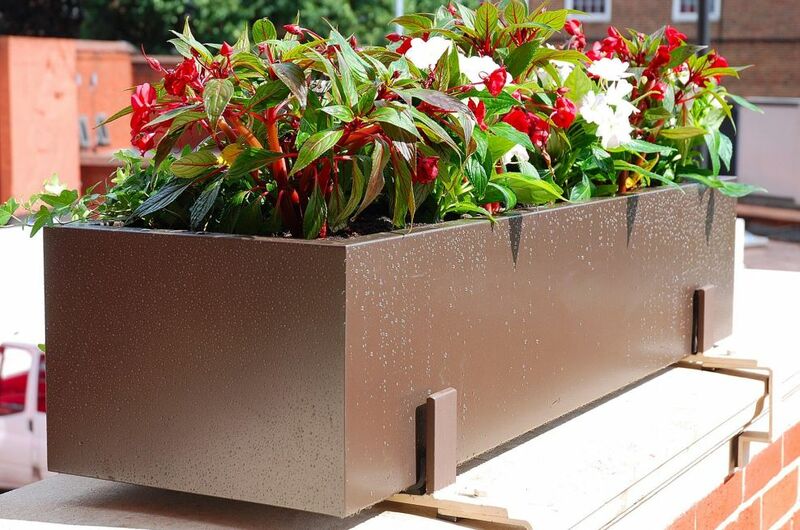 The planters are lined and sealed watertight, and are intended to be temporarily installed and planted for the duration of major events. 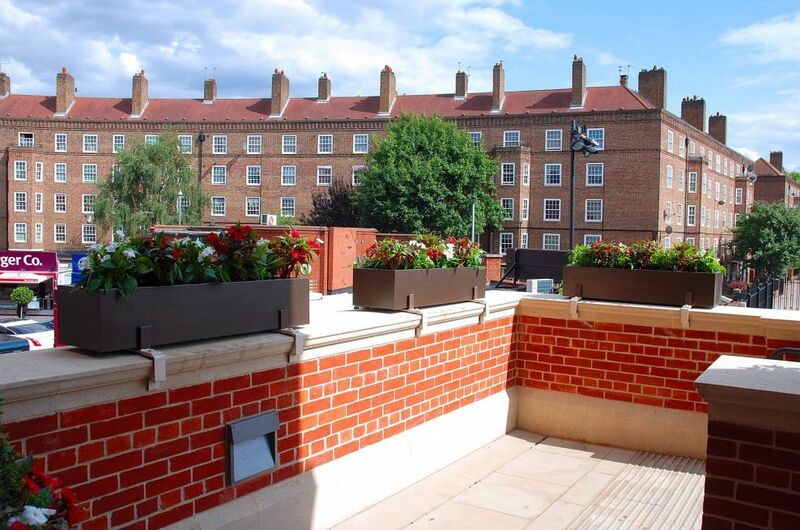 The colour of all planters was required to match the bronze railings of the balcony, and to coordinate with the anodized bronze colour of the window surrounds and door furniture. 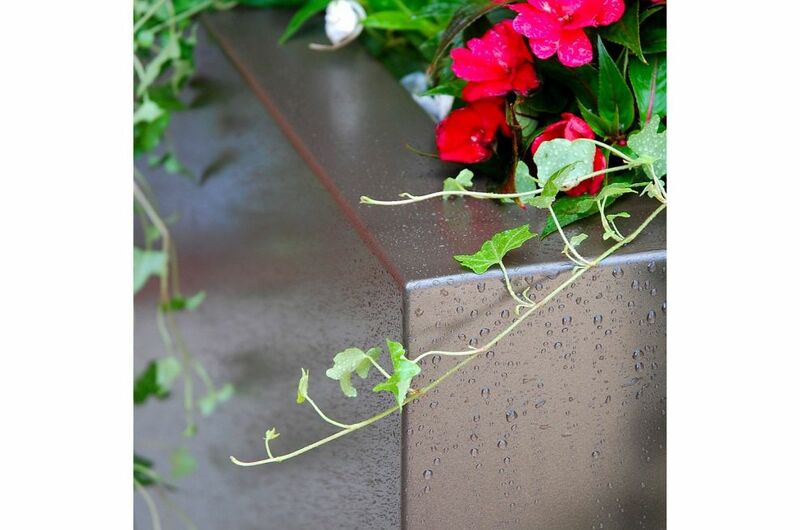 A non-standard powder coat was recommended by IOTA, and all planters were powder coated with Futura Interpon D Work Shop Culture Marron d’Inde SW208F. 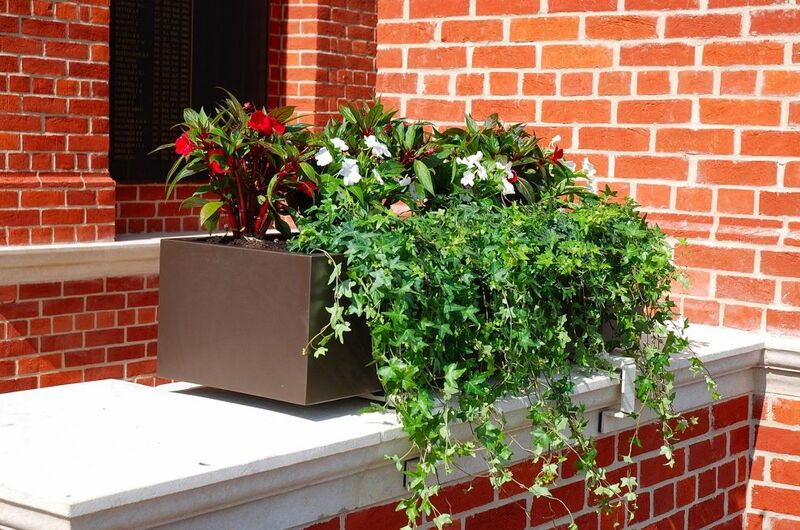 The installation of planters and planting was conducted by Phs Greenleaf, to a planting scheme of their recommendation. 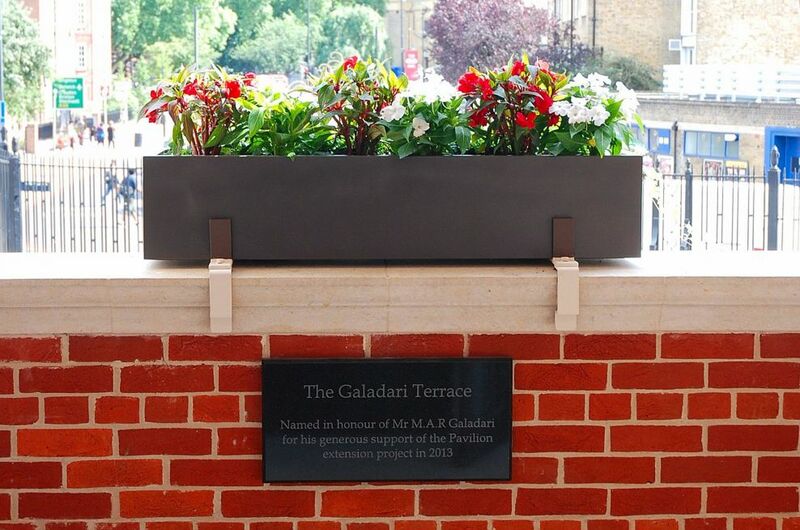 Fitting the client’s brief for a ‘traditional and bold’ scheme to match the colours of the England team, the troughs were planted with New Guinea impatiens in red and white colour, with trailing green ivy; and the two specimen Taxus were also under-planted to match. 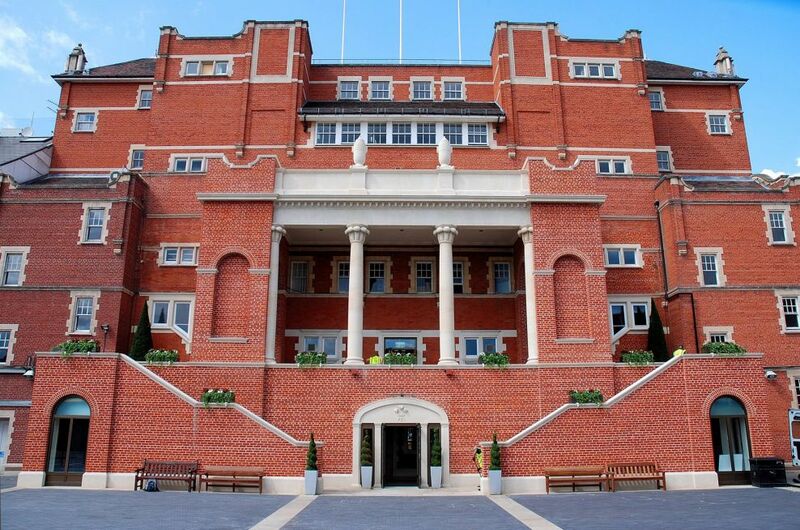 The Kia Oval is the latest of many commissions delivered by IOTA for internationally-renowned sports venues. These include Wimbledon Centre Court, The Belfry, Manchester City Football Club, Leeds United Football Club, and Somerset County Cricket Club.